Provide comfort for the family of Jon Klebesadel with a meaningful gesture of sympathy. Found peace on February 6, 2019, age 78 years. Loving Dad of Jack (Jenny). Grandpa of Hannah and Michael. Uncle of Wendy, Jordan and Jeremy (Erica). Brother in Law to Sharon (Tom) Roche and Dawn Herman. Preceded in death by his former spouse Nancy and his parents Jerome and Olive Klebesadel. The family would also like to thank Jon’s close friends Tim Snider and Tom McKenna for their support during the past year. The family will host a Celebration of Life on Saturday, February 16, 2019, from 4-8pm with a time of reflection at 6:00pm at the Main Mill Restaurant N88W16521 Main Street Menomonee Falls. They also request that if you have any fond memories, stories or pictures to share please send them to jonjkleb@gmail.com. 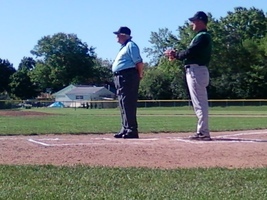 In Lieu of flowers please consider a donation to the Wisconsin Umpires Association for the training of future umpires. To send flowers in memory of Jon J. "Kleb" Klebesadel, please visit our Heartfelt Sympathies Store. Celebration of Life from 4-8 PM with a Time of Reflection at 6 PM.